The Museo Reina Sofía presents a major exhibition dedicated to Salvador Dalí, one of the most comprehensive shows yet held on the artist from Ampurdán. 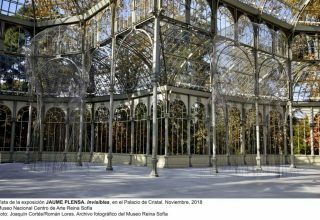 The intervention by Mitsuo Miura (Iwate, Japan, 1946) at the Palacio de Cristal is based on a pictorial installation oriented ultimately toward architecture and landscaping. 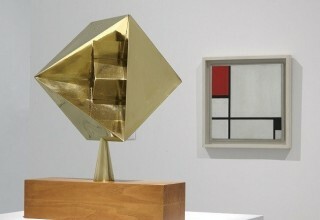 By means of essential forms distributed around the space, with somewhat faded colors representative of a certain diffuseness, the artist proposes the creation of constructive forms that are merely suggested, and which relate to essential schematizations of experiences and images stored in his memory. This will be the first exhibition organised in Europe on the important Colección Patricia Phelps de Cisneros (CPPC) and the most comprehensive to date as well. This is the first great retrospective in Europe on North American photographer Robert Adams (Orange, New Jersey, 1937), widely regarded as one of the most significant and influential chroniclers of the American West. 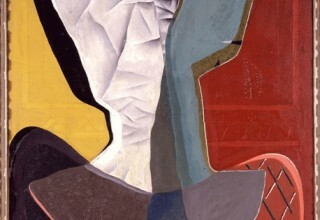 Museo Reina Sofía presents the largest retrospective to date, in Spain and abroad, on Cristina Iglesias (San Sebastian, 1956). Although an exhibition on her work was held at Palacio de Velázquez in 1998, this anthology includes more than fifty works and examines the broad production of the artist, from her beginnings in the mid-eighties to present days. Museo Reina Sofía and Centre Georges Pompidou have jointly organised a great show dedicated to SALVADOR DALÍ, one of the most complete exhibitions on the Empordanese artist to date. Opening in the French capital as from November 21, it will afterwards travel to Madrid, where it will open its doors on April 24, 2013. Encounters with the 1930s, one of the most important exhibitions of the season, is the Museum’s contribution to the commemorations marking the 75th anniversary of the creation of Guernica (1937), Pablo Picasso’s emblematic art work.